Our product range includes a wide range of expansion shell rock bolts, expansion shell bolts, resin grouted rock bolt and rock bolts spares. Our company is recognized as an excellent manufacturer and supplier ofa wide variety of Expansion Shell Rock Bolts. We are a company that will always pay our utmost attention to the industry standards and protocols during the entire procedure that we follow and our team always makes sure that the customer satisfaction is something that should be given prime importance. As a leadingmanufacturer and supplier of Expansion Shell Bolts, our company has made its significant mark in the market. 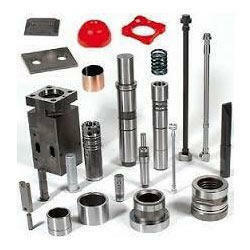 This product of ours is composed of best graded raw materials and has managed to earn customer trust and satisfaction. Our team pays utmost attention to the industry standards and protocols during every step of the way in the process that we follow. 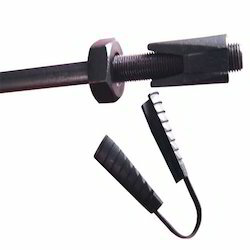 We are an established name asmanufacturers and suppliers of Resin Grouted Rock Bolt. 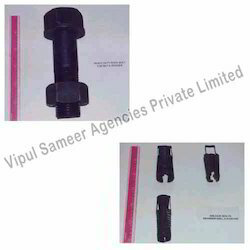 Our company has on offer a lot many variants of these bolts that have an amazing utility in the industry in view of the precise engineering and excellent bearing on all of our products. This particular product of ours has come up as a preferred choice in the market at present. Heavy 2H Hex nuts, Bevel washers, taper washers in 3, 5, 7, 11, 13 etc. degree, hardened plain washers, bearing plates, "Perfo" tube elements and expansion shell and plug etc. are available in all sizes on demand. 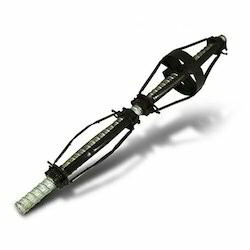 Looking for Rock Bolts ?